The house was built in 1883 for Rocky Mountain News publisher William Byers. He sold it to the William Gray Evans family in 1889. The two-story Italianate style house has been restored to its 1912-24 appearance. 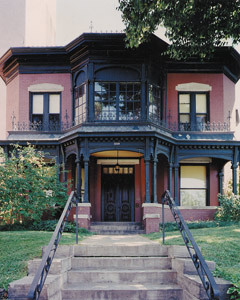 The property is operated as a museum by History Colorado and also houses the Center for Colorado Women's History. Visit the Byers-Evans House museum!